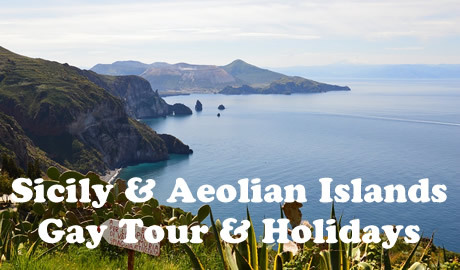 Palermo, Messina, SanSaba, Nebrodi Mountains, Montalbano, Aeolian Islands, Cefalu, and more! 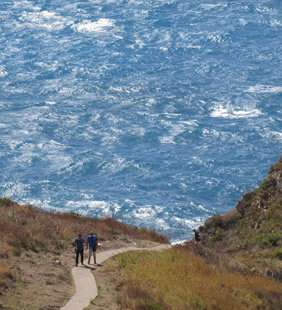 Join us for a week of gentle walking and relaxing gay tour & holidays on the shores of Northern Sicily. Palermo is our first night stay, discover it's quirky streets, a city packed with history and colour. Monreale cathedral with its magnificent mosaics and the fascinating medieval quarter is included. We then drive 80 miles east to explore Messina's magical land with its surrounding typical Norman villages as Montalbano and Castelreale. Other included guided trips are to the Parco dei Nebrodi, we sail to Vulcano one of Aeolians where you can bathe in the hot springs-mud baths, the archeological area of Tindari and naturally the local beautiful SanSaba Gay beach programmed almost daily! You'll love the true taste of the renowned Sicilian meals washed down with world famous local wines available in a great variety of wonderful restaurants. • Head to the airport for your flight to Palermo, Sicily (PMO). • We’ll meet you at the airport and transfer to your Hotel. • City centre walk, and dinner. • Day tour of Palermo and Monreale cathedral with "the mosaic of Christ", one of the most splendid cathedrals in Italy. Norman, Arab and Byzantine elwmwnts of art in one place are just amazing. Mosaics cover over six thousand square metres of the church's interior bigger than those of the church of Saint Mark in Venice. The cloister, on the other hand, reflects mixture of influences very worth seeing. • Transfer to San Saba. Dinner. San Saba familiarization walk & take your clothes off (optional) on the Gay beach. • Join us for our introductory gentle walk around ancient SanSaba taken at a gentle pace with regular stops and for lunch (payable extra). In the afternoon we join the locals on San Saba Gay beach. • Scrumptious dinner with local wines and water included. 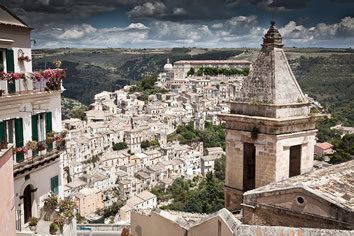 • After breakfast, we head to the Nebrodi mountains known as the Sicilian Apennines to discover the amazing nature of the Nebrodi National Park and its amazing Norman villages as Montalbano (lunch extra). • In the afternoon we join the locals on the Gay Beach for relaxation. Dinner. • We start the day joining the locals on the Gay beach. • In the afternoon we head to nearby Tindari for a guided walk tour of this famous Greek Temple and Roman City. Indeed the strong position of Tyndaris rendered it in a strategic point of view, important upon the Tyrrhenian sea, and hence we find it frequently mentioned in subsequent wars. 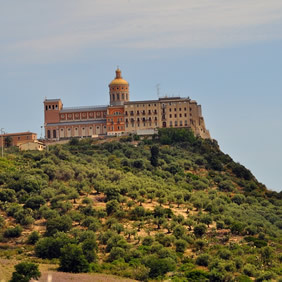 By the 19th century, the site of Tyndaris was wholly deserted, but the name was retained by a church, Madonna di Tindaro the Madonna Nera, the black Madonna. Dinner. 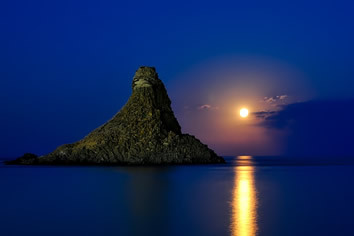 • We drive through spectacular scenery and via the pretty sun kissed town of Milazzo from where we’ll sail to Vulcano. • The island takes its name from considerable volcanic activity that has taken place for thousands of years. 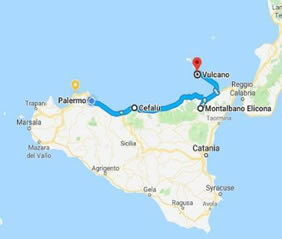 Along with Stromboli it is the only volcano still active in the archipelago and the youngest at 90 thousand years compared to Stromboli's 100 thousand years. Dinner. • Pic-nick lunch included. Dinner. After breakfast, departure for Palermo, we make a stop for lunch (extra) in the pretty town of Cefalu' to admire Norman Roger II Cathedral before heading to Palermo’s airport for your flight home. • Tours to Palermo, Parco dei Nebrodi with Montalbano, Tindari and Vulcano & of course SanSaba Gay beach every day! • The services of your tour reps. Exclusive individualized excursions as to Mount Etna can be organized. Just ask! We share a large self catering villa, located outside the the village of SanSaba. Comfortable two floors Italian style decoration and tyles, four bedrooms and two bathrooms. A delightful place to stay with pleasant relaxing views. 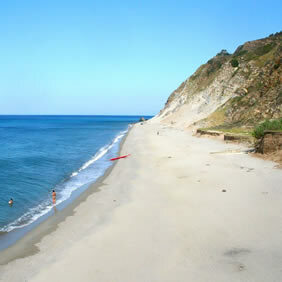 SanSaba: here the coastline alernates between sand and gravel, laped by warm crystal clear sea. It is a very quiet place so as to attract the sympathy of various naturists. The Gay beach is about 1000 yeards away. Stroll along San Saba sea front, swim in crystal clear sea, or sample a local homemade ice cream, or ever better a cup of Gelo di Melone, a watermelon delight to lick your whiskers. EUR 500 pp deposit required at time of booking. Balance payment due 60 days before departure.